The E! Entertainment Agua Alta team from Careyes was crowned champion after it vanquished team Elite Residences. And once again, the Riviera Nayarit showed off its versatility and ability to host choice events. 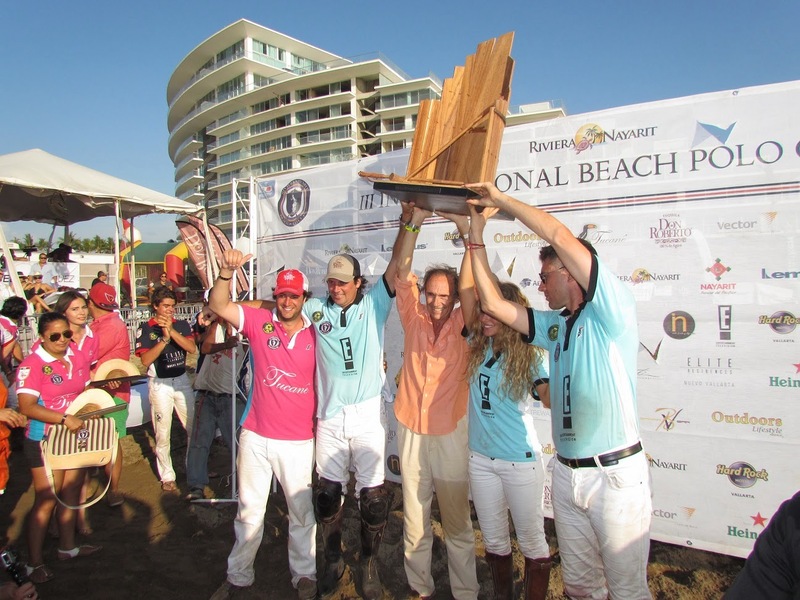 The third annual Beach Polo Cup was held at the Riviera Nayarit. As always, it was a delightful and classy event. The participants and guests were hosted at the Elite Residences and the Hard Rock Hotel, and all thoroughly enjoyed this experience, which continues to be a part of the legacy of this region. The international players who visited the Riviera Nayarit said the climate was perfection itself for a game of polo. The winners were the E! Entertainment Agua Alta team from Careyes. Chicco Cassanova, Nito Uranga and Maxime Mulenshausen won by defeating the Elite Residences team with a score of 8 against 6.5. After the competition, José Antonio Amutio, Director of the event, was motivated and grateful for the excellent results. He promised a fourth edition of beach polo, which of course would be held in the Riviera Nayarit around the same date, since May is full of events that play off of the huge influx of visitors for Holy Week and Easter. He also mentioned the level of players present, which are among the best in the world and include names such as Argentina’s Pablo Pierre. Countries from Europe and North and South America sent players to compete in this tournament, which, among other things, positioned the Riviera Nayarit as one of the top luxury tourism destinations in Mexico.